Registre Complains, Get Character Certificate Applications, Tenant Registration etc. Sindh Police have launched a mobile application to facilitate the people of the southern province (Karachi) by now. 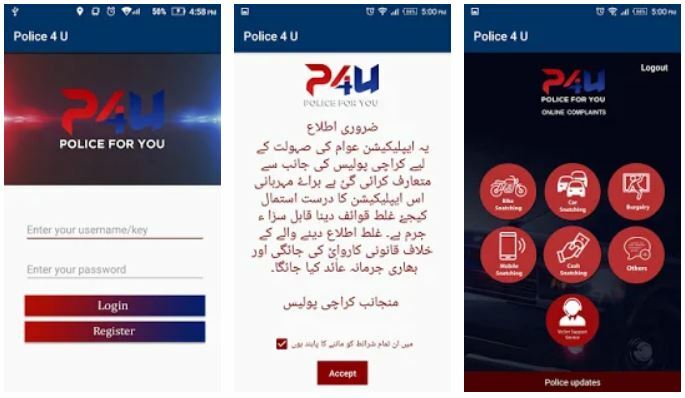 Police For You – currently available on Android – is launched by Karachi Police Chief Ameer Shaikh in a ceremony on January 14, 2018. The main goal of this system is to provide a competent and efficient platform where users can easily update about any emergency and officers/concerned department may take suitable action to help. Moreover, it will also facilitate the general public for character certificate applications, tenant registration etc. The AIG said that the app would help change thana culture [police stations] as well help improve the performance of the police.